Kolkata: Life Health Foods (India) Pvt. Ltd., a pioneer in the health beverage segment, has launched their new brand So Good, dairy-free plant based milks. This launch comes in time with the increasingly growing demand for non-dairy milk.
'' Our new So Good Protein + Soy milk range is "SO GOOD IN 5 WAYS"! With 25 per cent more protein than regular Soy Milky and toned milk and also 50 per cent lower in fat than toned dairy milk it's a great choice. It is gluten free and lactose free which is helpful for people with lactose intolerance, or those wanting to reduce their dairy consumption and great for gut health. Not only it is fortified with essential vitamins but it does not have any cholesterol either. So Good Protein+ soy milk range includes original unsweetened, caf? latte and deluxe chocolate, which are available in both 1L and 200ml formats, '' a statement said. In addition to new Protein+ soy milk, the popular Almond Fresh range of Almond milks has been brought under the hero So Good brand. This product tastes great and also has nutritional benefits that make it a great addition to any diet. So Good Almond Fresh comes in three flavours of chocolate, vanilla and natural unsweetened for those wanting an even lower sugar option. Look out for it in store in 1L and 200ml packs. Mr Rohit Bhagat, Business Head, Life Health Foods (India) Pvt. 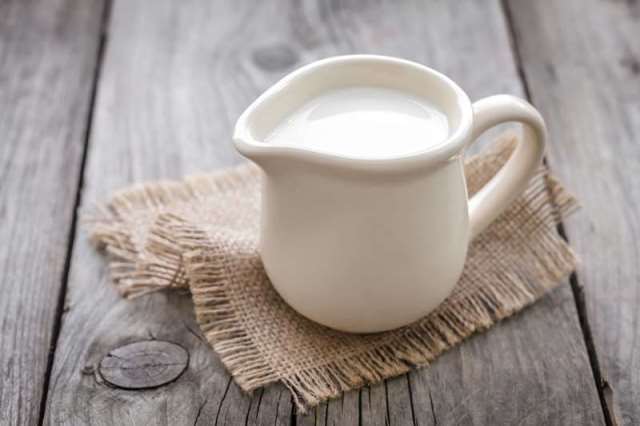 Ltd., said, "We at Life Health Foods have been always encouraging people to move to healthier options for milk. So Good Protein+ is our latest addition to our health drink category range. It offers a well-rounded nutritional punch for all lovers of health drinks. So Good Protein+ has 25 percent more protein than toned milk or regular soy milk, giving it the edge. We understand the needs of today's health conscious Indian consumer and strongly believe in providing a great combination of good taste and health benefits at an affordable price." Health and medical experts agree that both protein and calcium are essential nutrients required by human bodies for a healthy and productive lifestyle. The So Good range offers lactose intolerant people the opportunity to substitute dairy milk with So Good Protein + or Almond Fresh to help get their necessary dietary calcium and protein which dairy milk would otherwise provide. Similarly, individuals with high cholesterol could benefit by making the switch to soy milk with zero cholesterol. So Good Protein+ soy and Almond Fresh almond milk are also suitable beverages for vegans as they are made entirely from plant sources. With the launch of So Good Protein+, Life Health Foods becomes one of the biggest players in the category of ready-to-drink dairy alternatives and though a niche segment currently, the category of non-dairy alternatives is growing at the rate of 20 per cent year on year. There is growing interest and opportunity in this category. We look forward to continuing to innovate and produce products for India and around the world, the statement added.